Champlain Lennoxville was opened in 1972. 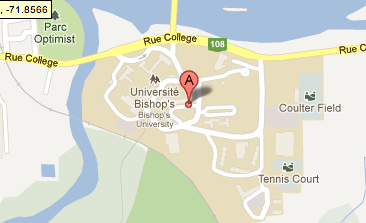 It is situated in the Eastern Townships on an attractive site which it shares with Bishop’s University. The fact that Champlain Lennoxville is located in a scenic rural setting has proven to be very attractive to increasing numbers of students who seek an alternative to having to continue their post-secondary education in an urban environment. As a CEGEP located on a university campus, Champlain Lennoxville offers its students complete access to university facilities. Classrooms, library, laboratories, residences, athletics, and dining facilities are shared by university and college students. Since the vast majority of students come from outside the Sherbrooke-Lennoxville area, a 318 bed apartment-style residence complex has been constructed where the comforts and privacy of residence life can be enjoyed.